While wide open 15 to 30-pound bluefin might not sound all that exciting after the last few seasons we’ve had, the fact that they’re biting just a few days before Christmas and in flat calm weather makes it something special. Remarkably, the bluefin aren’t the only pelagic species still around. Over the last week boats found kelp paddies holding yellowtail and yellowfin on dolphin. 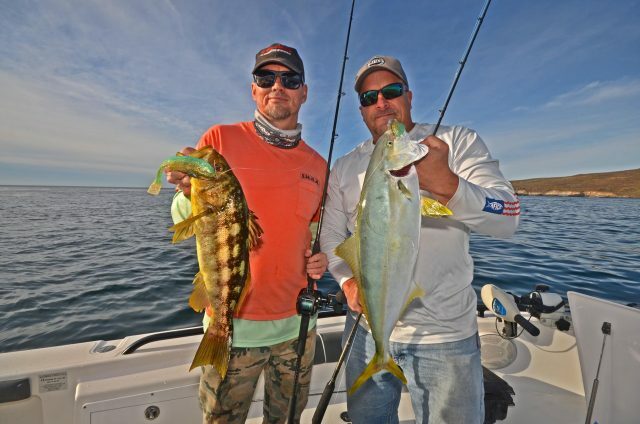 My friends, Captains Brian Greene and Mitch Christensen fished earlier this week on a private boat and scored limits of both bluefin and yellowtail while fishing the offshore banks below San Clemente Island. 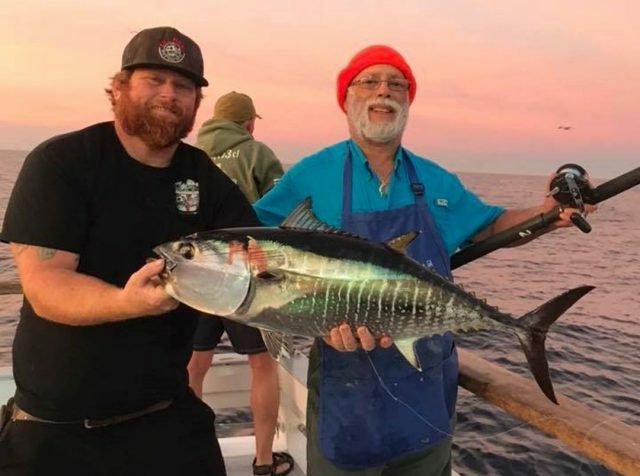 On Wednesday sport boats fishing the 60 mile bank reported easy limits of bluefin, some boats being done as early as 8:00 a.m. With the December new moon falling on Monday night, the fishing should be good through the weekend. 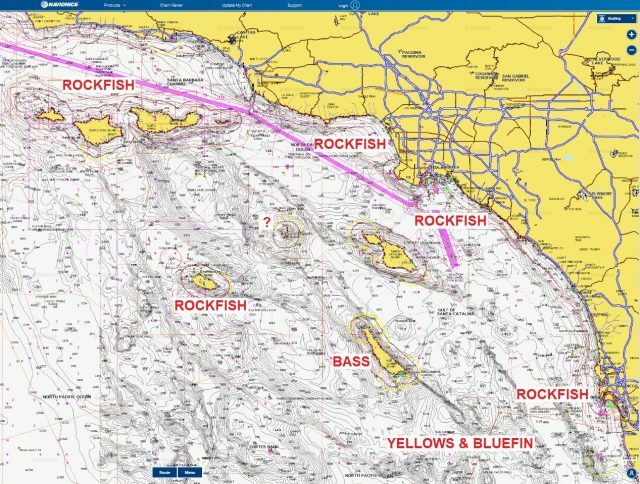 As you can see on the Navionics chart, rockfish are the stars of the fishing show in most areas. 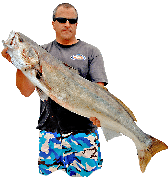 The best fishing continues to happen at the northern Channel Islands and along the coast above Santa Barbara. Yesterday I spoke with Captain Larry Heron of Calico Hunter Charters and he warned that people should seriously consider the air quality issues along the Santa Barbara and Ventura coasts. If the wind is blowing in the right direction you need to wear a mask just to keep all of the smoke and ash out of your lungs. The Santa Ana winds are scheduled to blow this weekend so I’d keep a close eye on the weather before deciding to fish. 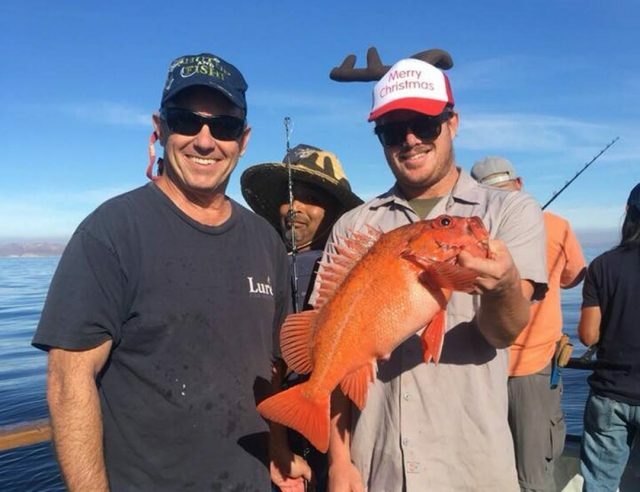 Down south the rockfish are biting along the coast but you’ll need live squid to catch the bigger reds in the Santa Monica Bay and off Long Beach. There’s a lot of squid along the beach right now so the receiver should have some but if they don’t you can catch your own on a snagger rig even during the day. Fishdope has info on where the squid beds are located. The rockfish are biting really well for the boats fishing San Nicholas Island and there are a few yellows in the mix as well. No one I’ve heard of has looked at Santa Barbara Island in a while but I may check it out on Saturday weather permitting. There are a few big yellows biting at Catalina for boats fishing live squid but the bite is slow. Other than that, it’s pretty much just rockfish and hoopnet lobster at the island. I fished San Clemente Island over the weekend and had fair calico bass fishing along the backside of the island. Conditions at the island were backwards most of the day and the water was super clear. This combined for slower fishing than we’ve seen there the last few weeks. The Navy has nothing scheduled at the island this weekend so it will be a good time to get out there and look around.